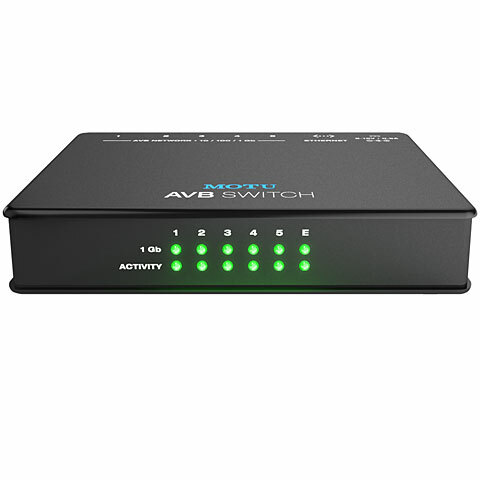 Audio Video Bridging (AVB) is the exciting new addition to Ethernet that has been developed specifically for latency-free, fully-synchronized streaming of audio and video over real-time over Ethernet. 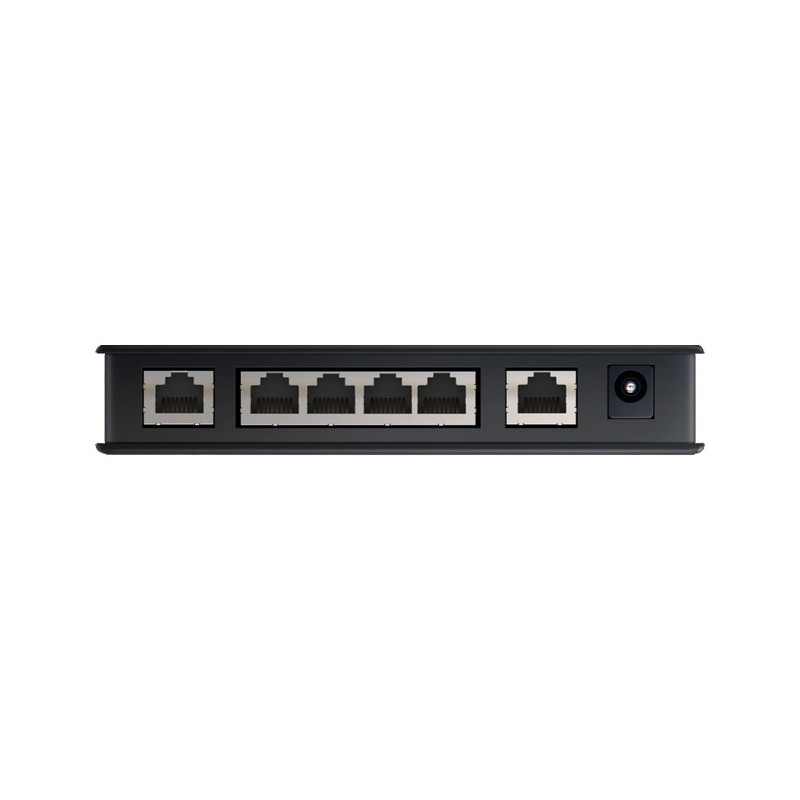 AVB meets the expectations of a true A / V standard that brings together the worlds of networking technology and professional audio / video. 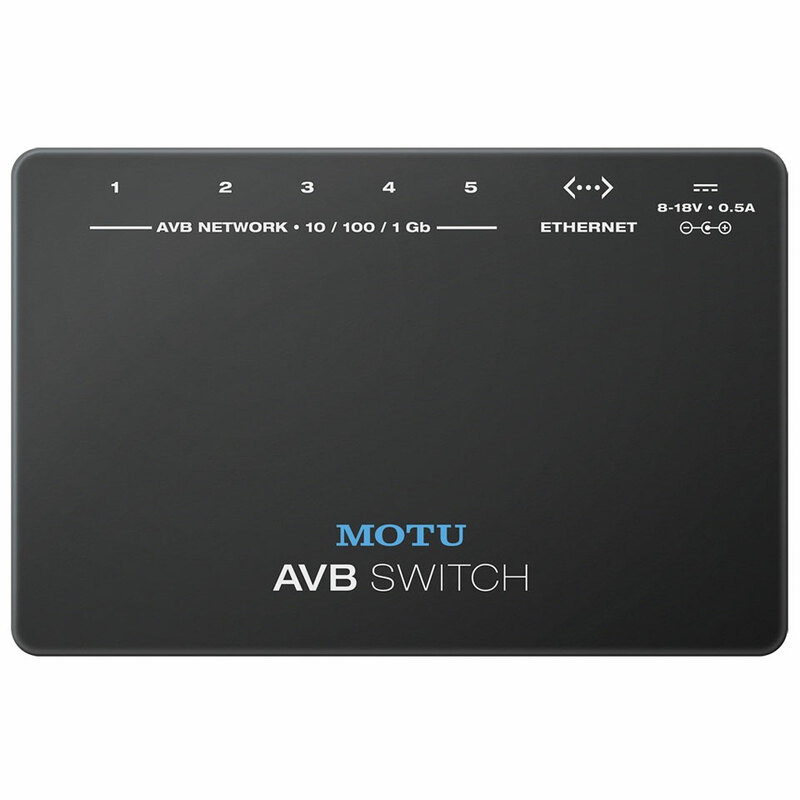 The MOTU AVB Switch ™ provides five 1-Gigabit AVB connectors for any AVB devices (even other switches), as well as a separate sixth connector for connection to a standard Ethernet network. 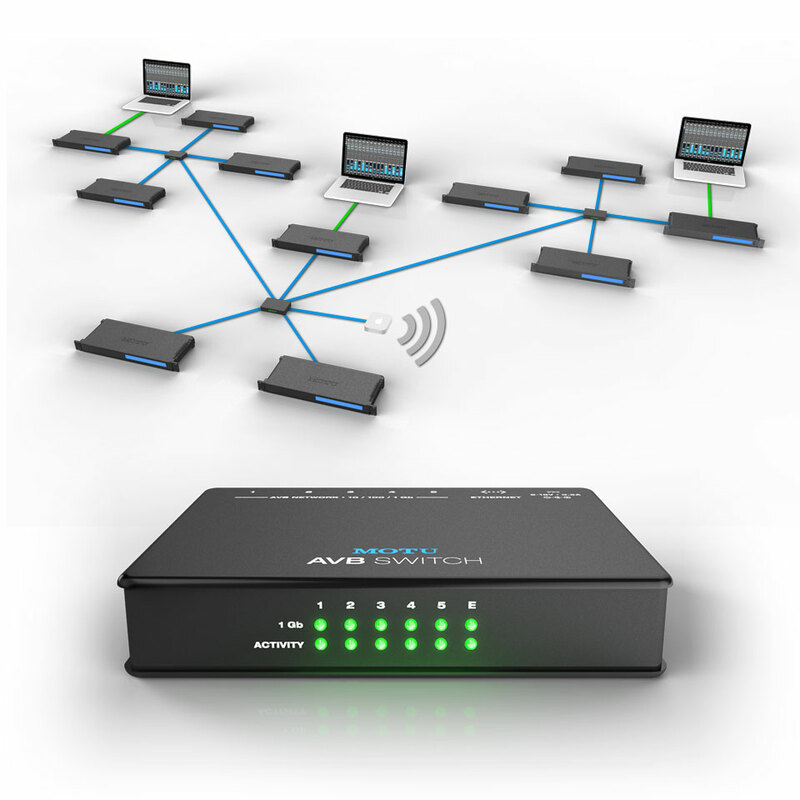 Enjoy the many benefits of AVB, including plug-and-play operation, guaranteed service quality, and self-governed management of network resources. 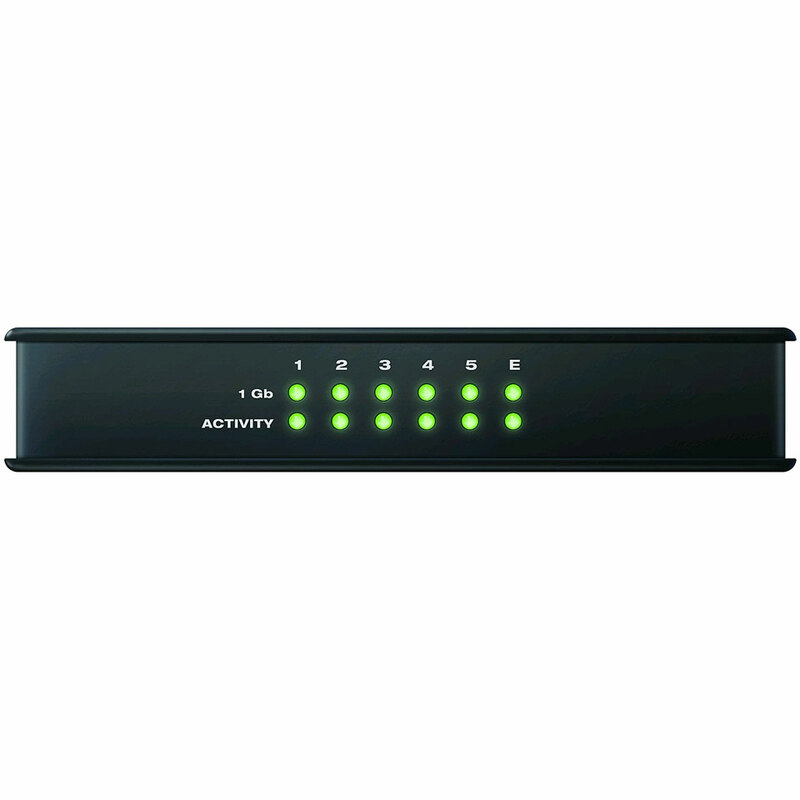 · Show all articles of the brand MOTU.